Children learn so much as they enjoy music, explore food and cooking, build together, create art, and celebrate their families! Get inspired by the activities and start planning your celebration today! St. Patrick's Day is always a fun one! When March arrives, I can barely wait to put up colorful rainbows, mischievous leprechauns, and pots of gold all around our room. Here in Idaho, it has been an especially long winter. I am so over the snow and ready for some sunny days! 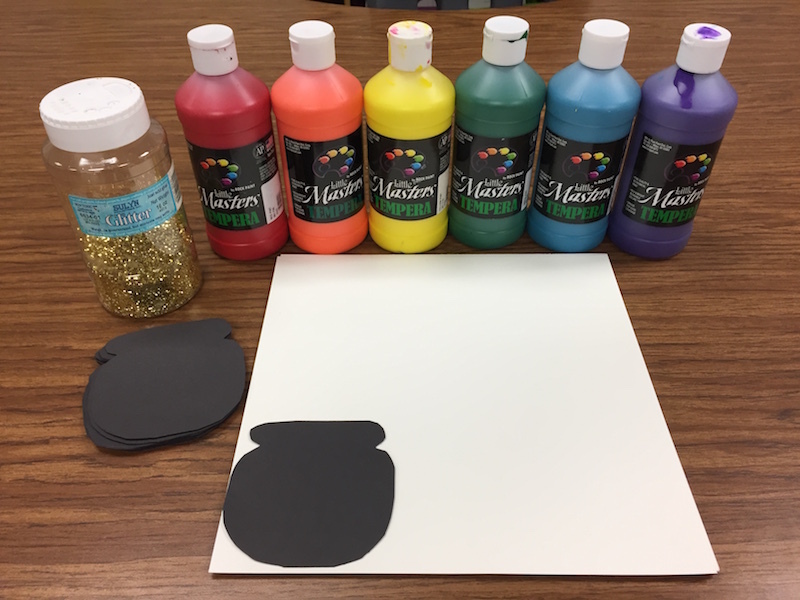 Rainbows are a perfect way to help brighten up a classroom, and I can assure you that leprechauns aren't the only ones who like them. I don't know what it is about artwork created by the hands of my little students. Their masterpieces are always so darn cute and have a way of stealing my heart, each and every time — and this time was no exception. I am in love with their little rainbows! They turned out far better than I could've ever imagined and I adore how each one has its own personality (kind of like my kiddos). My students enjoy the opportunity to get their hands "dirty" and when I say the word PAINT . . . squeals of joy can always be heard around the room! This craft is pretty simple and does not require much prep at all. All you need is white paper (I used watercolor paper because it's thicker), tempera paints (rainbow colors), black pots (I precut mine), glue, and gold glitter of course — because everything looks better with a little sparkle! 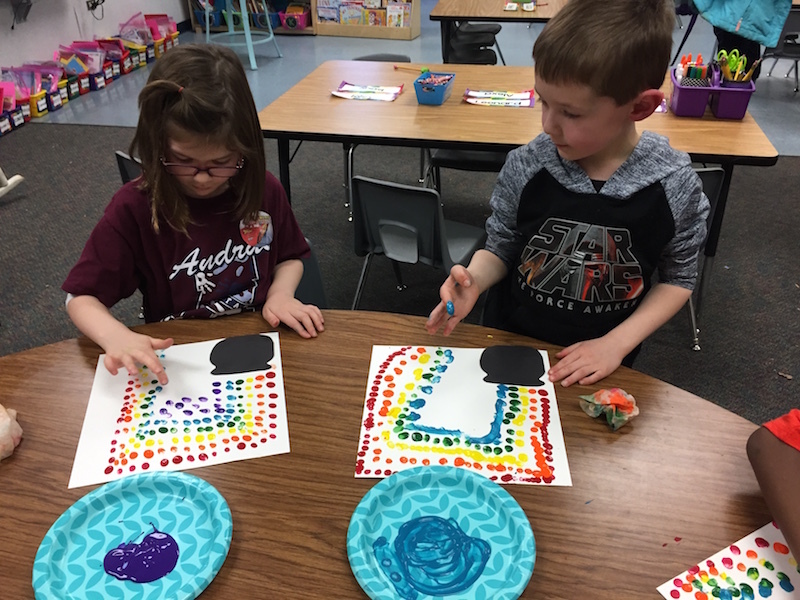 Colors in kindergarten are a big deal and we work on them a lot. Teaching concepts such as colors through other subjects — such as writing — is something I am always looking for. I believe that we can inspire thoughtful and creative writing through the art projects we do with our students. 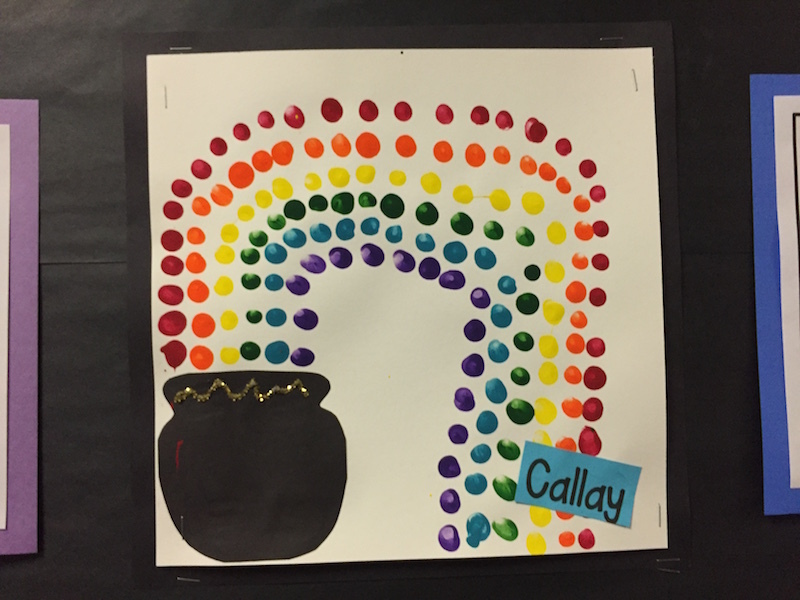 After my kids finished their rainbows, they were more than ready to write about the colors. Each of my students brought their very own experiences to this writing project. I had one student write about orange being the color of her hair, while another student wrote that a rainbow is as blue as her eyes. 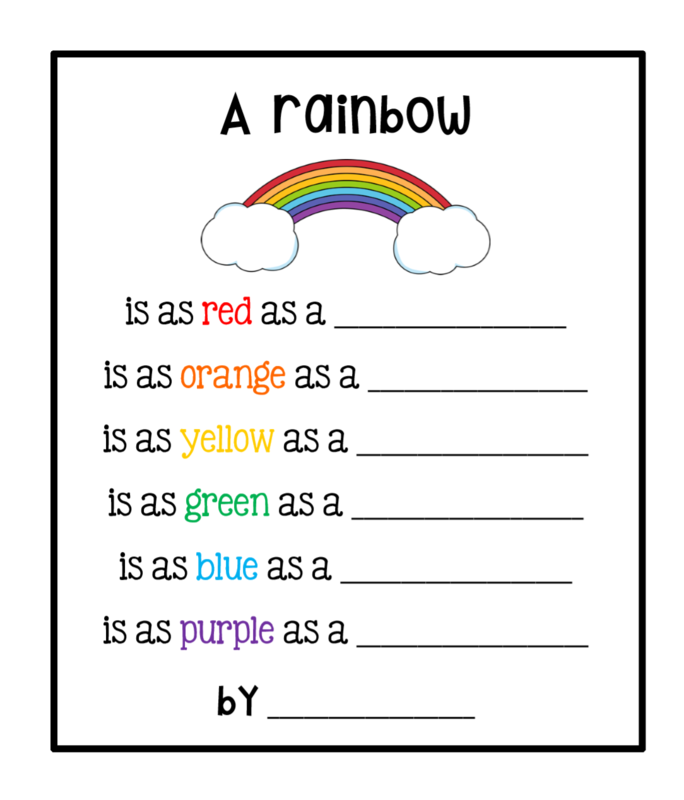 The personal connections to our rainbow writing activity just makes me smile. Their writing is personal and meaningful — exactly how it should be. Kids should never just write to write. Early on, we need to make sure that we are teaching our students to write about what is important to them! You can see that this happened during this activity by looking at the writing in the picture below. 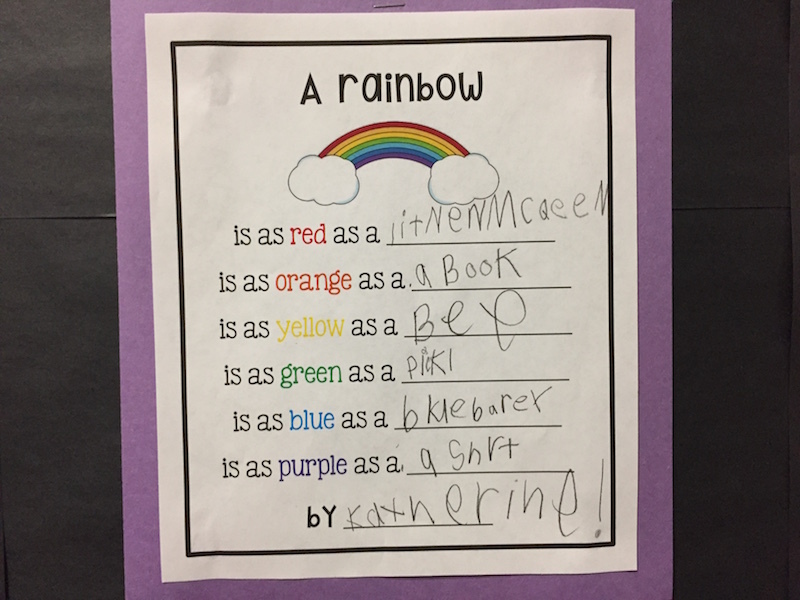 Miss Katherine LOVES the movie Cars, which is why she chose to write that a rainbow is as "red as Lightning McQueen!" How cute is that?! 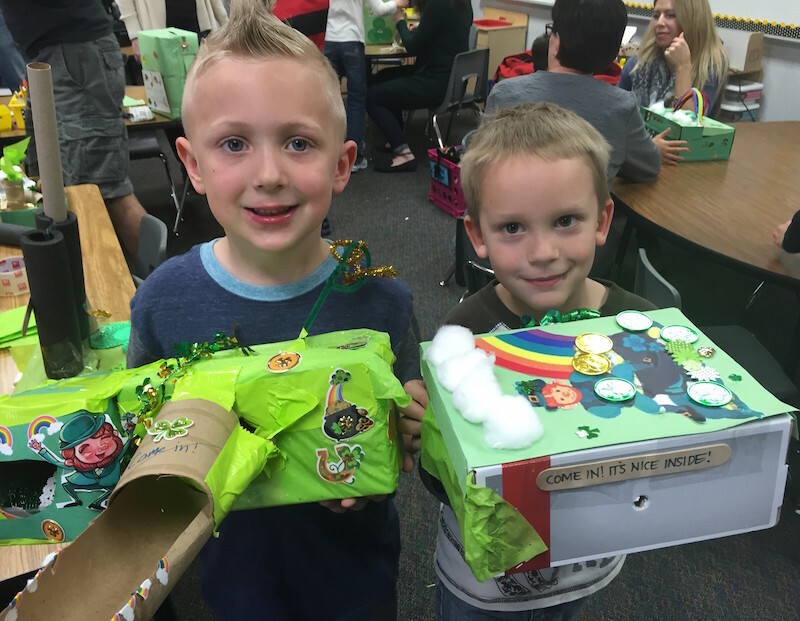 Let Them Build a Leprechaun Trap! At some point or another, you know your kids are going to want to try to catch that elusive little leprechaun you've been reading and learning all about. I promise you, their curiosity is going to get the best of them (and probably, you too)! 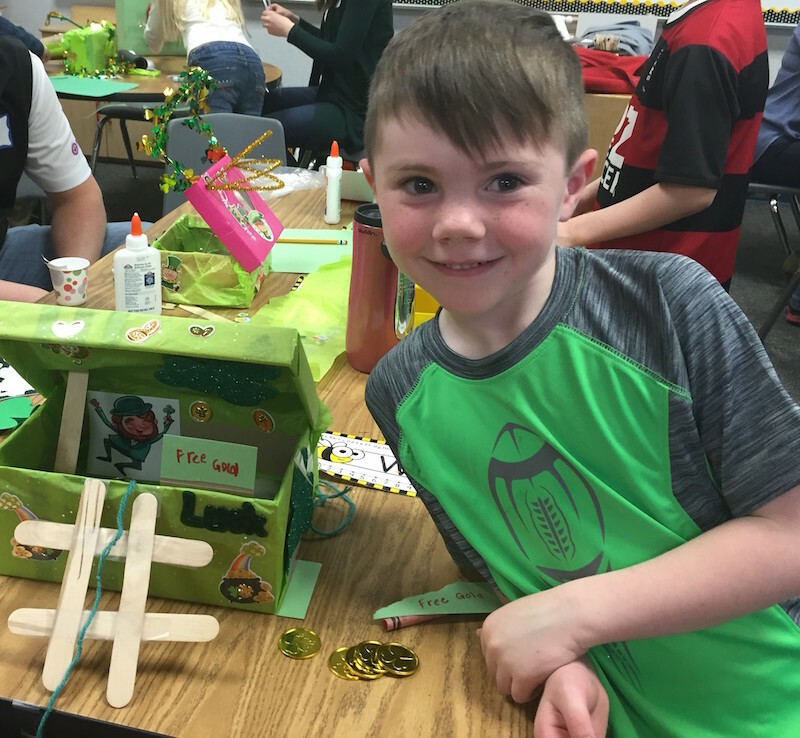 Around St. Patrick's Day, I invite our families in for a trap building event that always becomes a big highlight in our school year. I can honestly say that the parents have as much — or more — fun than their children! It really doesn't take much planning to pull this event off. Just make sure to give your parents plenty of notice so that they can take time off work to come and join in the fun. You'll also want to send out a request for boxes and tubes from used paper towel and toilet paper rolls. The rest of the materials such as scissors, construction paper, glue, pipe cleaners, etc., can usually be found at school or donated by families. Sheer joy will come from your children using their imaginations as they build their traps, and anticipate the capture of that tricky little leprechaun! These little guys are completely adorable, and oh-so-fun to create! 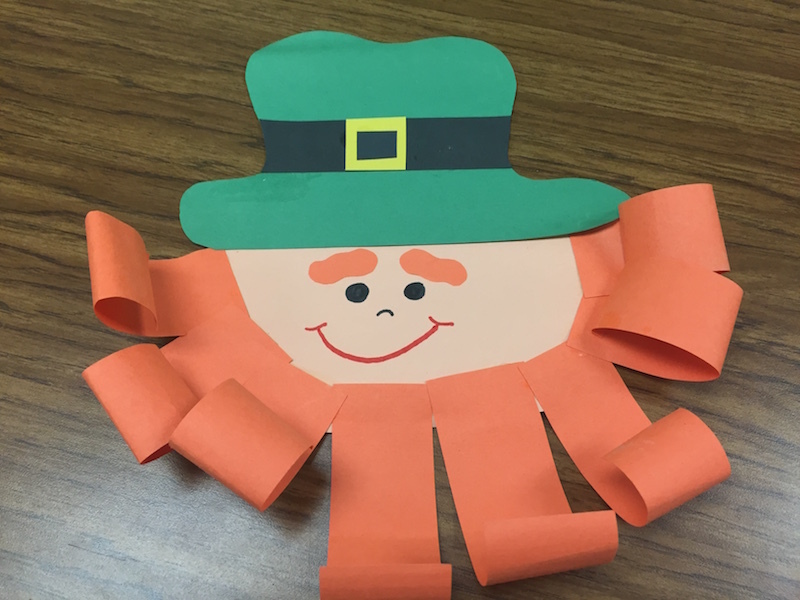 The shapes are really simple and in the image below, you will find all the pieces you need to create this cute leprechaun. I drew and then cut the hats and faces by hand, but all the other pieces are easily cut with a paper cutter. To start, I have the kids glue the beard pieces to the back of the leprechaun's face. When they are finished with the beard, glue on the hat and add a mouth, nose, and eyes to the face. Don't forget to add the bushy eyebrows because that step just makes them even more charming! Finally, after the glue dries, have the children use their pencils to put a little curl on each piece of the beard. This step gives them texture and dimension. They are a so charming, I think I am in love! 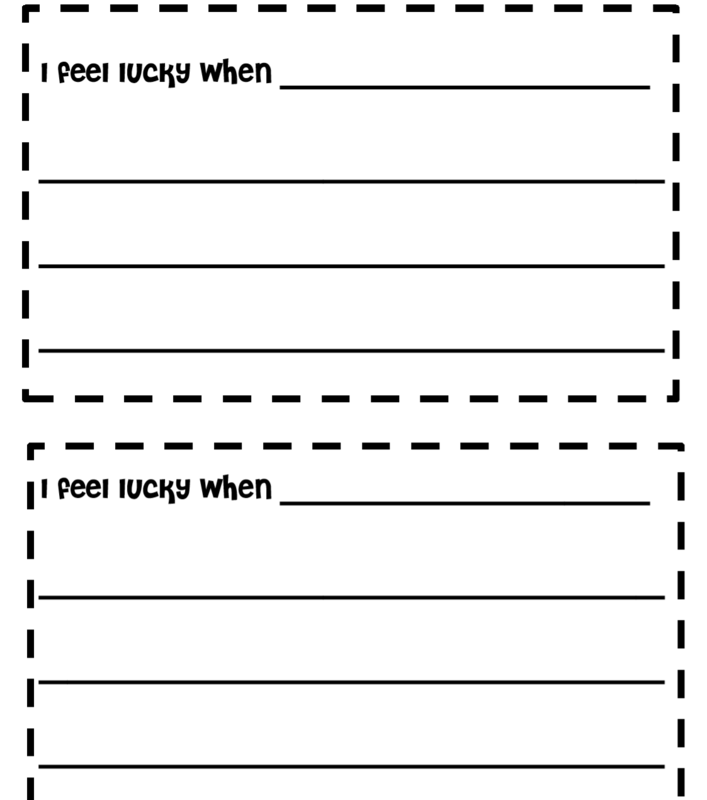 If you would like to have your kids write about a time when they feel lucky, click on the image below to use my I Feel Lucky When writing paper. It is a perfect accompaniment to the leprechaun craft. Put them together and you will have the cutest bulletin board display around! I'm always so excited to get all my books out as I prepare to teach a new unit, and boy let me tell you, there are a ton of St. Patrick's Day books for kids. In fact, I have so many books that it's hard for me to fit them all into to our weeklong unit. But, I'm not going to complain â this is a very good problem for a teacher to have! I have made a list of a few of my favorite St. Patrick's Day books. I am especially excited to share my new book, How to Catch a Leprechaun with my students! It's available through Book Clubs and I used my bonus points to get it for free! It's going to fit in perfectly as a read aloud on the day my students make their leprechaun traps — I'm so excited to share it! I LOVE this story about a leprechaun that is avoiding capture. The illustrations are fantastic and I know my students are going to enjoy seeing the traps that the kids are setting up. 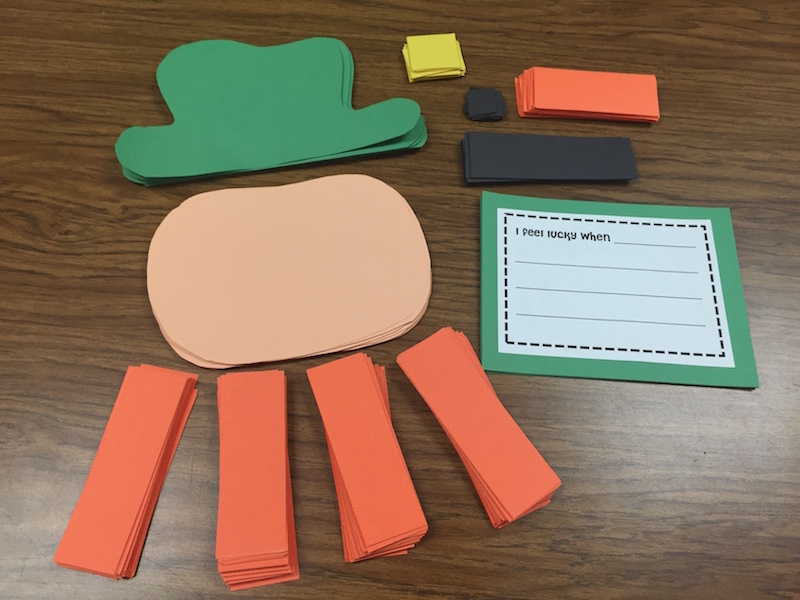 The section of the story when the leprechaun takes care of the smelly shoes is definitely going to arouse some belly-busting giggles in our classroom! 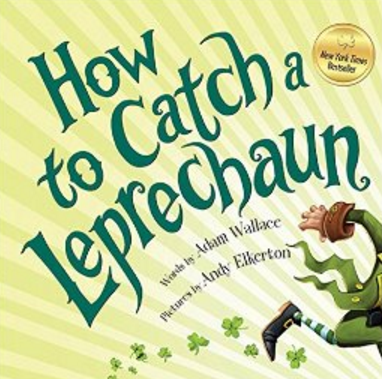 The pictures are bright and colorful and I know How to Catch a Leprechaun will keep my children engaged and laughing. This book is a great read aloud, and perfect for St. Patrick's Day. Picture Books About St. Patrickâs Day That Kids Will Love! 6. The Luckiest St. Patrick's Day Ever! St. Patrick's Day doesn't have to be all about sliding down rainbows and finding buckets of gold — although that sounds like a whole lot of fun! Personally, I enjoy all the tomfoolery that comes with St. Patrick's Day, but I also think it is very important to teach children the real history behind the holiday and why it is celebrated. WatchKnowLearn.org is a super-directory of over 50,000 free educational video links that are organized by subject matter. I just found out about this great resource and regardless of what you are teaching, I guarantee you can find a video to compliment and enrich your topic. 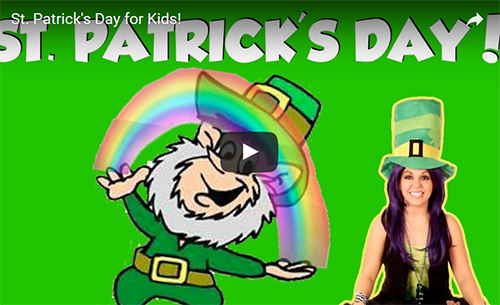 Check out this St. Patrick's Day video that your little ones are sure to love! Introduce your students to leprechauns and their fascination with gold by using this illustrated mini-book in class. Have You Seen My Pot of Gold? 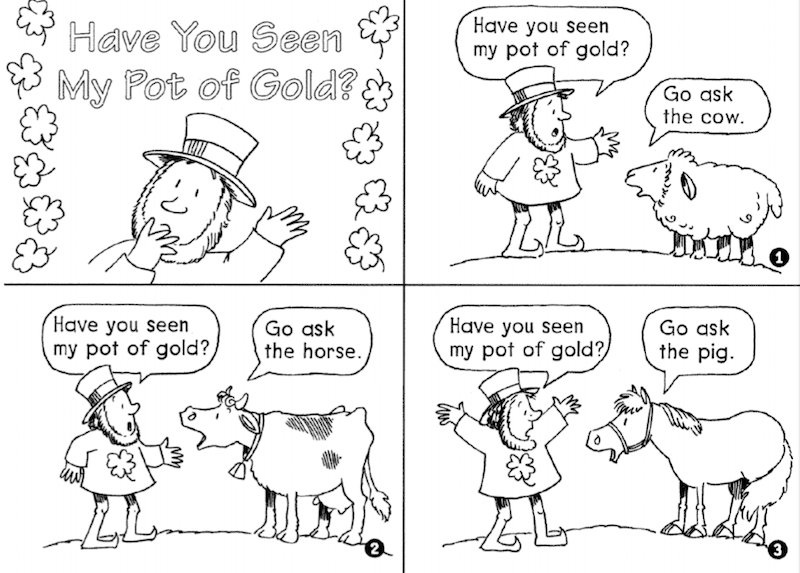 tells the story of a leprechaun who cannot find his pot of gold and asks various farm animals if they know where it is hidden. Students can color the characters, assemble the book, and read the story during guided reading time at the teacher table. 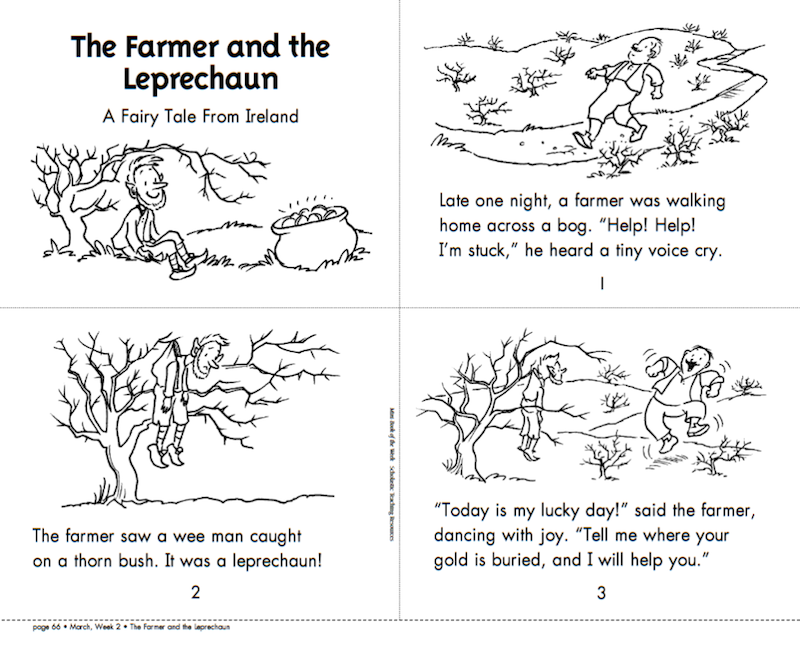 Children will love to make and read this delightful mini-book about a farmer who tried to get a tricky leprechaun to reveal the location of his pot of gold. Itâs a perfect book for you and your students to use for guided reading during your St. Patrick's Day celebration. What Fun Activities Are You Doing This Month? I would love to hear all about the fun things you and your students do to celebrate St. Patrick's Day. Please use the comment area below to share your thoughts and activities. Thanks for reading and I hope your day is filled with love, laughter, and lots of rainbows!